Cover larger areas with this effective marketing and shade option. Instaco supply custom printed cafe umbrellas for brand exposure and added weather protection. 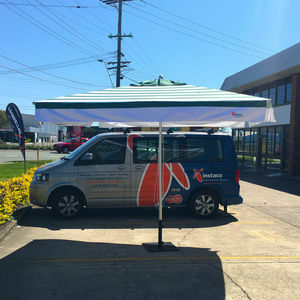 Simple and easy to use - these umbrellas perfect addition to your location! Please complete the form below so we can respond to your enquiry. If you would prefer to speak to us over the phone, call Instaco on 07 3277 7749.